Lightweight nourishment & detangling for fine hair.Detangle and nourish hair without weighing it down. 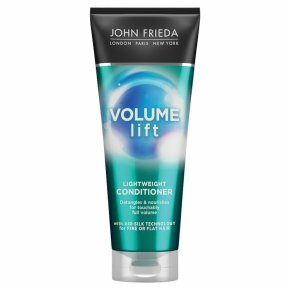 This lightweight conditioner, with CaffeineVitality Complex, preps volume without tangles. Smooth through wet hair after shampooing with Luxurious Volume Touchably Soft Shampoo, and then rinse well. Safe for colour-treated hair.